We offer in-house Computed Tomography Scans (CT or CAT scans). The Physicians recognize that accurate and timely diagnosis are key elements for providing the “Gold” standard of care. The availability of near immediate scheduling ensures that the test results will be in the hands of the Physicians in the most expeditious manner. CT scans help your Physician diagnose your condition and establish a treatment plan that is tailored to your specific needs. 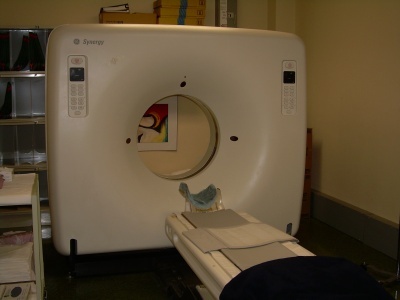 On July 23, 2008 our CT scanner was accredited by the Intersocietal Commission for the Accreditation of Computed Tomography Laboratories. This distinction demonstrates compliance to the requirements outlined in the ICACTL Standards and our commitment to high quality patient care. The practice was reaccredited in September 2012. CT is a form of X-ray. The images are developed on film and shown as cross-sections or slices. The X-ray tube is located and actually rotates in a circular motion inside the gantry. These images make it possible to diagnose abnormalities or diseases more accurately and within earlier stages. 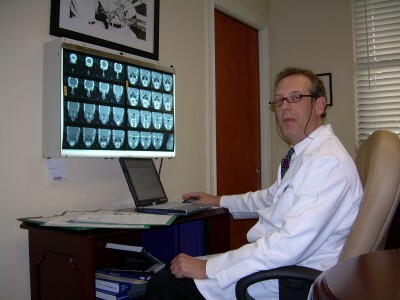 The CT scans performed in our office are limited to the head and neck, which encompasses those areas treated by the specialty of Otolaryngology. Depending on the area being scanned, IV contrast may be ordered. Your Physician will discuss this with you if he or she feels that it is necessary. The comparison of images performed without contrast and those done with contrast really differentiate or show the presence of normal verses abnormal tissue. If a contrast study is recommended, you should refrain from eating or drinking anything for a period of four (4) hours prior to your test. Our Technologists are highly trained and will let you know what to expect throughout the test. Most scans are completed in as little as twenty (20) minutes during which you remain in voice contact with the Technologist. Kindly leave any facial jewelry or necklaces at home in a safe place during your CT scan, as jewelry has a tendency to create artifacts on the exposed film. After your CT scan has been completed, you can resume your normal activities without limitations. Your Physician will review your films and discuss his or her findings at your scheduled follow-up appointment. CT scans can be scheduled during the work week or on Saturday mornings.